Like their name, Honesty First Auto Transport (now Safe Direct Car Shipping) is dedicated to providing their customers with honest answers, a friendly staff, and a stress-free experience. They have been setting a higher standard for the auto transport industry since 2008. They have one of the highest ratings from the BBB, Transport Reviews, Transport Rankings and many others because they put their customers first. They pride themselves on being friendly and helpful, never pushy or difficult. 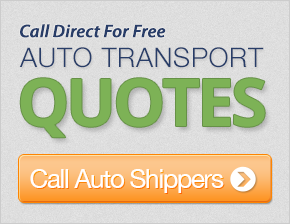 Give them a call with any car shipping questions or go online to get a free quote. They have multiple payment methods including Pay Pal, Visa, Master Card, American Express, and Discover. The best thing about their payment options is that there is no up front deposit required. They also offer car shipping insurance at no additional cost. When choosing to ship your car, they will pick-up and deliver your vehicle to your door. You also have the option to choose if you would like to have your vehicle shipped on an open or enclosed vehicle carrier. Cross country moves will be on an 8 to 10 car carrier, while localized shipments will be on smaller carriers of 2 to 3 cars. Delivery time on a vehicle going coast-to-coast auto transport will take about 1 to 2 weeks. From either coast to the Midwest it will take an average of 3 to 7 days. If you want an honest, and positive experience in shipping your vehicle, and in customer service, then choose Safe Direct Car Shipping. You can get free comparison quotes right here and save up to 50% on your car shipping rates! My experience with customer support and the shippers was excellent. I would definitely recommend this company and use this service for future car moves. Thank you! My Highlander arrived in the same condition that it was dispatched in, as I had expected. The carrier drivers were very pleasant and acted professionally. Overall, if I had to ship again or knew someone who had to ship a car, I would recommend this company. Good job! Once the truck got picked up, it got to its destination in very good time. The truck driver was very nice and helpful. We were able to arrange a mutually convenient location for the drop-off. Thanks for the service. The driver was very helpful, also, because he went out of his way to get my vehicle to me. I will recommend this company to everyone I know that needs this service! Everyone was perfectly professional. My every expectation was met. Thank you! Your company was recommended by the company we bought the car from. We were very happy with the service, which was very helpful and professional. Thank you! Good follow-up to my questions. If my son runs away again in his Mustang, I will use you folks to bring his car back. Thanks! Thank you very much for the fast pick-up and delivery. I will be using you again for future moves, and will recommend you highly to anyone that is looking for a carrier! Car arrived very quickly in KC. Support looked after everything for me, and the car arrived in Buffalo and was stored in the terminal faster than I thought it would. Thank you! The service was professionally handled and I would recommend it to others. They were extremely easy to work with, and provided fast service that was very helpful. Thank you!